Details: Ford Transit van FY63TAV is one of three added to the Metrobus fleet in late 2013 and has already been illustrated on LTSV. However, this photograph taken at Orpington Bus Station on 7th May 2014 shows that the livery has been amended since last time. 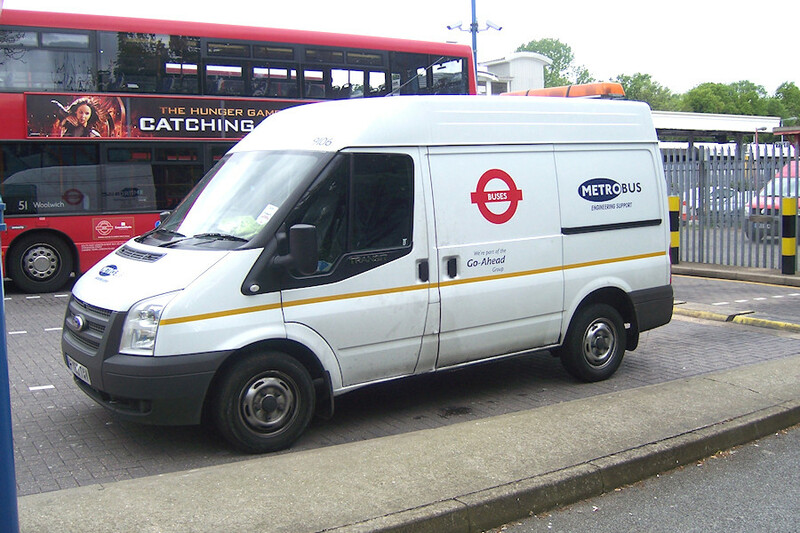 A reflective yellow stripe has been added, with a Buses roundel on the cargo door and the Metrobus logo moved to the rear panel. Not visible here is that red/yellow chevrons have been applied to the rear.